It is a Star Wars story, no doubt about that. 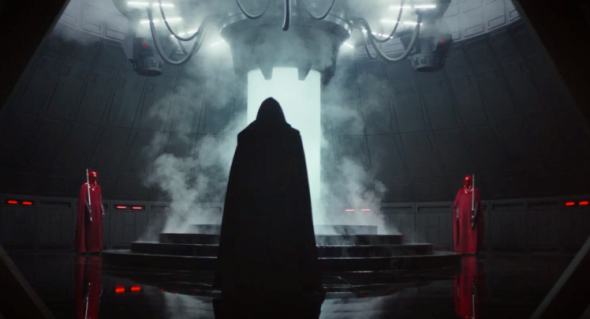 Why this sudden pearl-clutching over the politics of the Star Wars universe? There’s been a “final solution” tilt since the outset (they are called stormtroopers, after all), and Rogue One takes us back to when the Empire’s prized Death Star had yet to be completed. As an act of conscience, Empire scientist Galen Erso (Mads Mikkelson) designed the Death Star with that fatal flaw that is exposed when viewing the original blueprints. It’s up to Galen’s daughter Jyn (Felicity Jones) and her band of rebel fighters to capture that file and ensure daddy’s flaw is exploited. Sure, we know how it all turns out, but connecting those dots becomes a thrilling, thoughtful bit of fun. Jones makes a fine hero: brave, righteous and naive – or, perfect for this series. She and Mikkelson join a full slate of very talented character actors – from the genius Ben Mendelsohn to the under-appreciated Diego Luna to the up-and-coming Riz Ahmed. They’re part of an adventure that butts up against the New Hope, bridging tales swirling around that far away galaxy. Like JJ Abrams’s The Force Awakens, Rogue One: A Star Wars Story peppers the action with welcome humor and continually reminds viewers of the film’s place – chronological and geographical – in the saga. One or two of the tricks up director Gareth Edwards’s (Monsters, Godzilla) sleeve come up short, but the majority land with style. With his team of writers and a game cast, he takes us back to the height of the Empire’s smug attitude – their belief in their right to silence those who oppose them and dictate to a voiceless population with impunity. It’s a clever, thoughtful slice of entertainment entirely apiece of the Star Wars history. It’s also a reminder that there is always hope.